Whenever I want to give myself a little treat I stop by Luna Bakery and buy myself a ham and Swiss croissant and a coffee. Luna Bakery is located on Fairmount just after the intersection with Cedar. It is located a door or two down from The Mad Greek (it’s on the end so just turn into the parking lot behind the stores). Luna Bakery has proven to be so popular that they have already expanded seating to accommodate the throngs of people. This is a great place to meet some friends for coffee and pastry or enjoy one of their outstanding crepes (I recommend the Nutella and banana crepe, but any of them are a good choice). One of my friends who is a particularly picky eater swears that their cheddar herb scones are one of the best things she has ever ate. 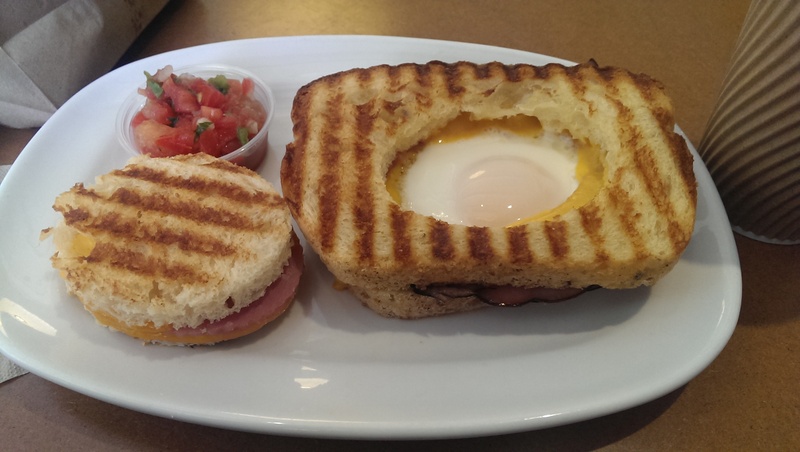 One particularly popular breakfast item is the Nest Egg (a sunny egg nested in semolina toast topped with cheddar (ham is optional) – an egg-in-a-hole with a twist), but be sure to get there early because they stop serving it once breakfast hours have finished (11 a.m. on the weekend). 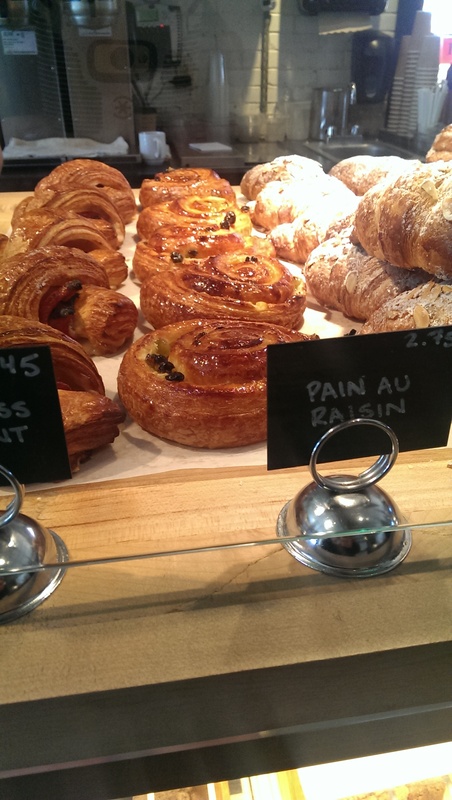 The pastry counter has lots of good choices. They offer a gluten-free / flourless chocolate cake, tarts, and raspberry bars, and their whimsical sugar cookies puts smiles on the faces of children and children-at-heart. But my favorite treat is the ham and Swiss croissant. It is exactly like the ham and Swiss croissants I used to buy in Germany. The ham and cheese is rolled up in the croissant dough and gets all crispy and melty. It’s divine. But get there early. They usually sell out really quickly. 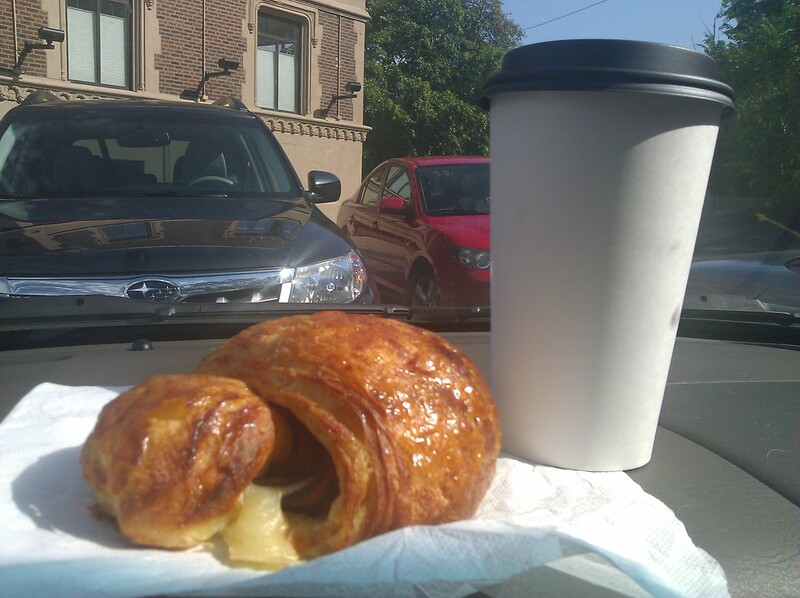 A ham and cheese croissant and a cafe au lait can really brighten up my day. They are also available at The Stone Oven on Lee Road. I’ve heard great things about Luna, I really need to get over there. They did my wedding cake……did a fantastic job!! I really need to stop by Luna to get that ham and cheese croissant more often–it’s also my favorite thing on the menu. I’ve never tried the nest egg, but it sounds really tasty as well.